Rob McElhenney at the Season 13 Red Carpet Premiere event for FXX's "Its Always Sunny in Philadelphia" at the Regency Bruin Theatre on September 4, 2018 in Los Angeles, California. 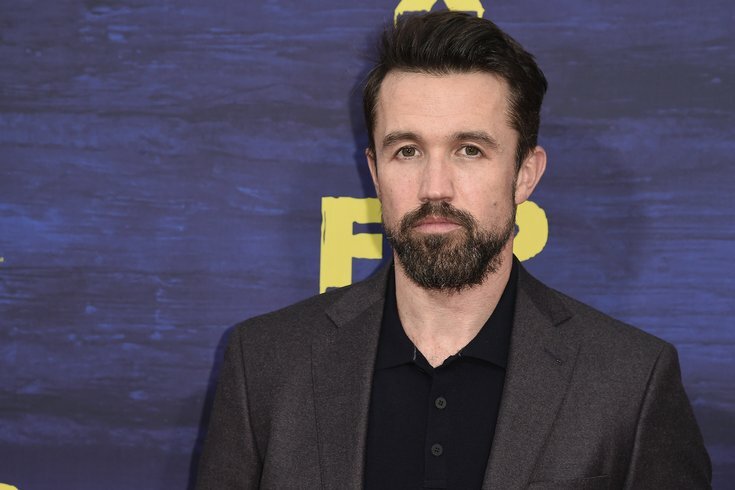 Well, it looks like "Game of Thrones" superfan Rob McElhenney received his ultimate wish. He made his debut – and final –appearance in the Season 8 GOT premiere Sunday night. Though, it wouldn't be too surprising if you missed it. The "It's Always Sunny in Philadelphia" star received a pretty brutal arrow to the eye after standing on screen for about the duration of, oh, one second. He co-stars as one of Euron Greyjoy's sailors alongside Martin Starr from "Silicone Valley." The two kept the ship secure while Euron was off trying to impress Cersei. But when Theon Greyjoy boards the ship to rescue his sister, Yara, he kills off both characters before they could even utter a line. There has been a deep, ongoing relationship between the creators of “It’s Always Sunny in Philadelphia" and "Game of Thrones." David Benioff and D.B. Weiss of GOT wrote a script for Season 9 for "It's Always Sunny," called “Flowers for Charlie.” The creators have also made an appearance in the show, starring as two "bored lifeguards" in “The Gang Goes to a Water Park” in Season 12. You can catch McElhenney's five-second appearance in the clip below.